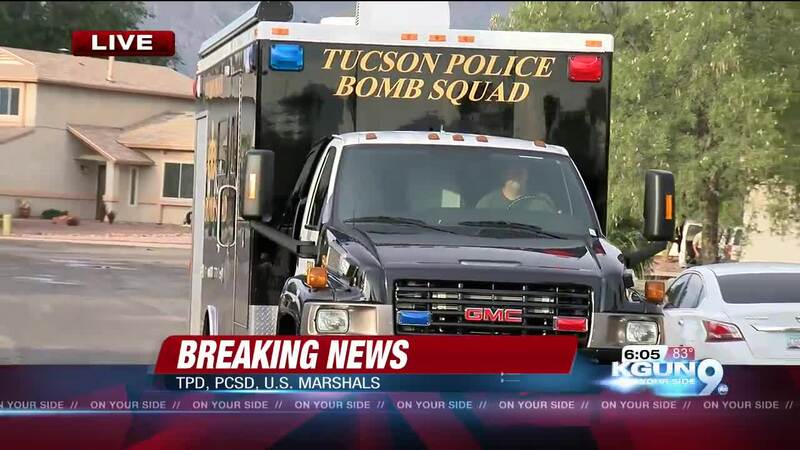 UPDATE: The Tucson Police Department has confirmed 42-year-old Jason Patty was located deceased inside a home on August 23 following a standoff. He appeared to have died from a self-inflicted gunshot wound. Multiple agencies responded to a standoff in the 5800 block of North Edenbrook Lane on Wednesday evening where Pima County Sheriffs confirmed with KGUN 9 that they were looking for a suspect wanted in relation to a deadly traffic incident that took place earlier this month . The landlord of a nearby home confirmed the suspect's name with PCSD. Tucson Police say the suspect inside the home that TPD has been searching for is 42-year-old Jason Patty, wanted for a crash last month where he was on a motorcycle with a woman who died at the scene. Upon entry, one person was found dead, apparently from a self-inflicted gunshot would.